Closing fees increase out-of-pocket homebuying expenses. You are approved for a 100% purchase mortgage loan, but what closing costs advice do you need? That approval means that you can buy a house with no money out of your pocket, right? Wrong! 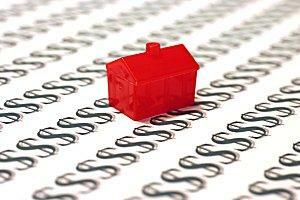 There are costs involved in every purchase transaction, whether it is a car, land, or a house. When buying a home, the mortgage company incurs costs underwriting and processing your loan. The title company incurs costs by researching the ownership record of the property and by preparing all of the legal documents that are necessary for the transaction. There are also property taxes and several government fees that must be paid, such as recording the new title with the relevant county. Put together, all of these extra fees add up to closing costs, which can increase the price of a house by several thousand dollars. Don't let all of these costs bother you. There is a way to buy a house with no money out of your pocket! Instead of trying to get the rock-bottom price for your new home, you can offer the seller a fair price and ask them to pay closing and related fees. There are many mortgage programs that will allow the seller to pay up to 6 percent of purchase price towards the buyer's closing costs. Let's suppose that your agent gets the seller to come down to $100, 000 from an asking price of $106,000 and you pay all of the closing fees, or you can buy the same house for $106,000, have the seller pay those fees, and keep all your money. What is the monthly payment difference between these two loan amounts, since the total purchase price is the same? Only $40 per month - on the average! By spending that $40 per month yourself with a slightly larger mortgage payment, you can actually keep a lot more money. If you spend $6,000 to save $40 per month (because you chose a smaller loan and paid the costs yourself upfront), it will take you 150 months to recoup that $6,000. In other words, you will be paying that extra $40 per month for twelve and a half years to make up the initial closing costs. The average home buyer doesn't even stay in their first home for 12 years! If you put that same $6,000 in an investment account that pays only 7% interest compounded annually, you would have $13,986 in the same amount of time that it would take to pay it off with monthly payments. You could also choose to invest that money in remodeling projects that would increase the value of your home, making it a better investment and worth more if you decide to sell. That money could even be used for a larger down payment and greater savings in the long run. The property that you are making an offer on has been on the market for a long time. The seller has already moved and is making two mortgage payments. There are a lot of similar homes for sale, creating a buyers' market. In these examples, you may be able to get a lower price and seller-paid closing fees, saving even more money. Many real estate agents understand this principle and will help you to make it happen. If your agent doesn't want to submit an offer that asks the seller to pay some closing costs, insist on it or consider choosing a different agent. After all, you hire real estate professionals. They work for you! I have never bought a house without seller-paid closing fees. You shouldn't either. Dwight Pigg is the author of The Ultimate Home Buyer Guide.